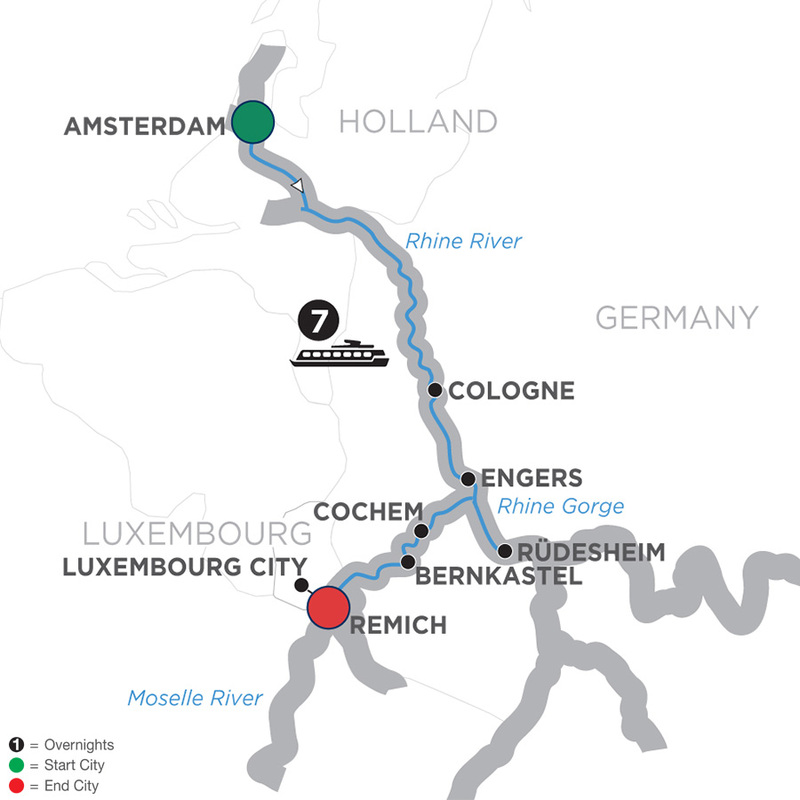 Experience Holland, Germany, Luxembourg, and France on this fantastic river cruise vacation. Begin in Amsterdam with an exciting cruise through its intricate network of canals. Then, into Germany to enjoy guided sightseeing in Düsseldorf and Trier, where you’ll see the only surviving fortified gate from the original Roman settlement. Visit Siegfried’s Mechanical Musical Instrument Museum in pretty Rüdesheim, cruise through the dramatic Rhine Gorge, enjoy the magnificent views from Reichsburg Castle above the charming town of Cochem, and wine tasting in Bernkastel. Travel via high-speed train to Paris for guided sightseeing, two overnights, and the conclusion of your amazing vacation.